I do love it when I receive a package in the post. 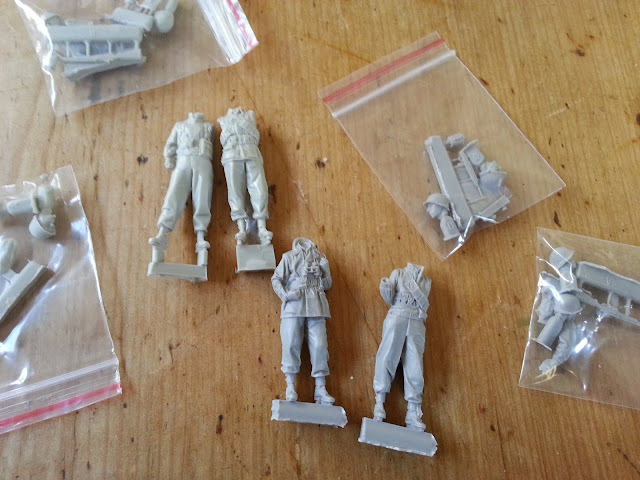 Today's parcel was small, but it contained some model making magic. 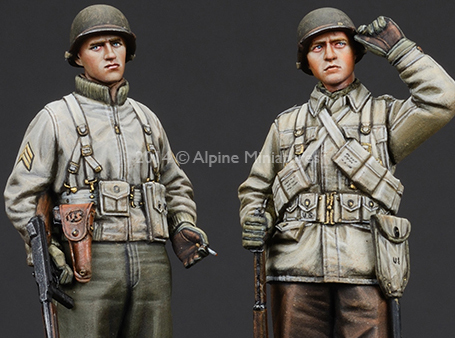 Four resin figures from Alpine Miniatures for my current project, an American diorama in the Ardennes in 1944. 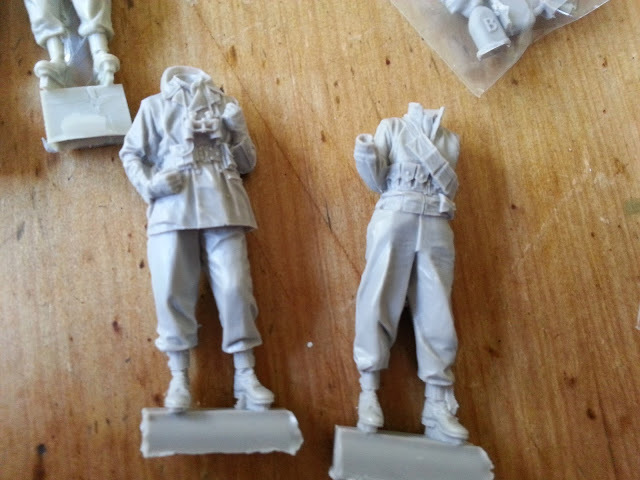 Great, crisp detail, beautiful casting. 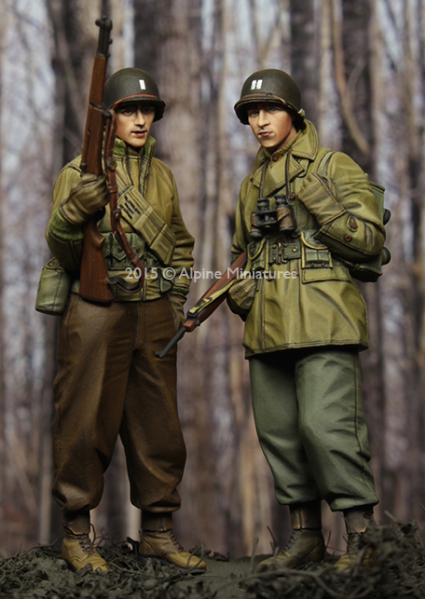 Each figure has a choice of two heads, a plain steel helmet or a camouflage netting helmet. Faces are natural and expressive. There's an Amazon link to these little gems below. I really do recommend Alpine Miniatures. Looking forward to starting these gents soon. Needs a good wash in soapy water first to get rid of that release agent sheen. Manufacturer's artwork. I'll be happy if mine are close to this good. 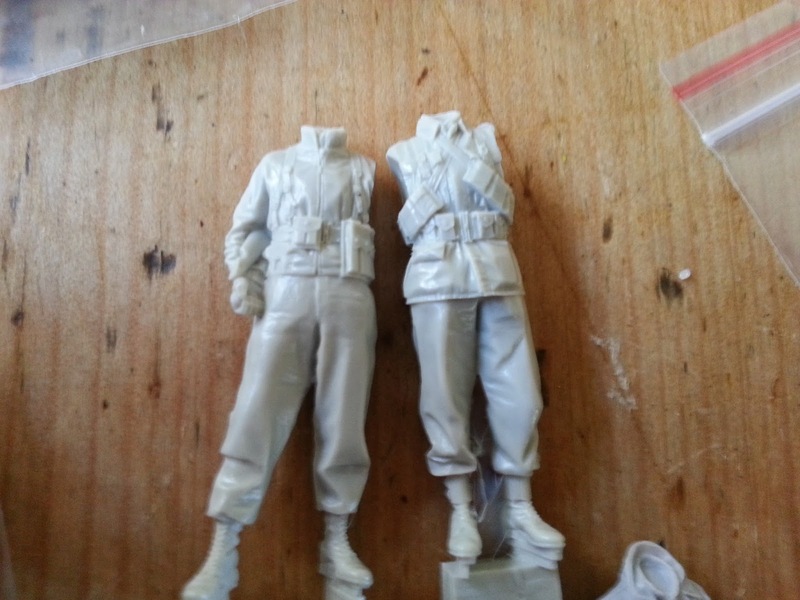 I'm planning a little scratchbuilding to make the guy on the right hold binoculars.